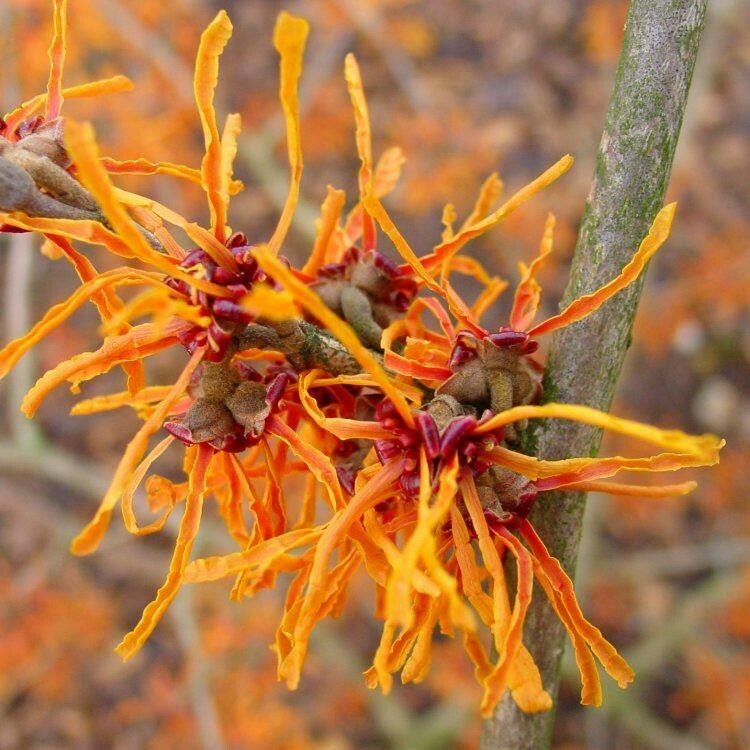 A trio of magnificent Witch Hazels perfect to add winter highlights to your garden, with the added benefit of looking good throughout the year and dazzling in autumn too. 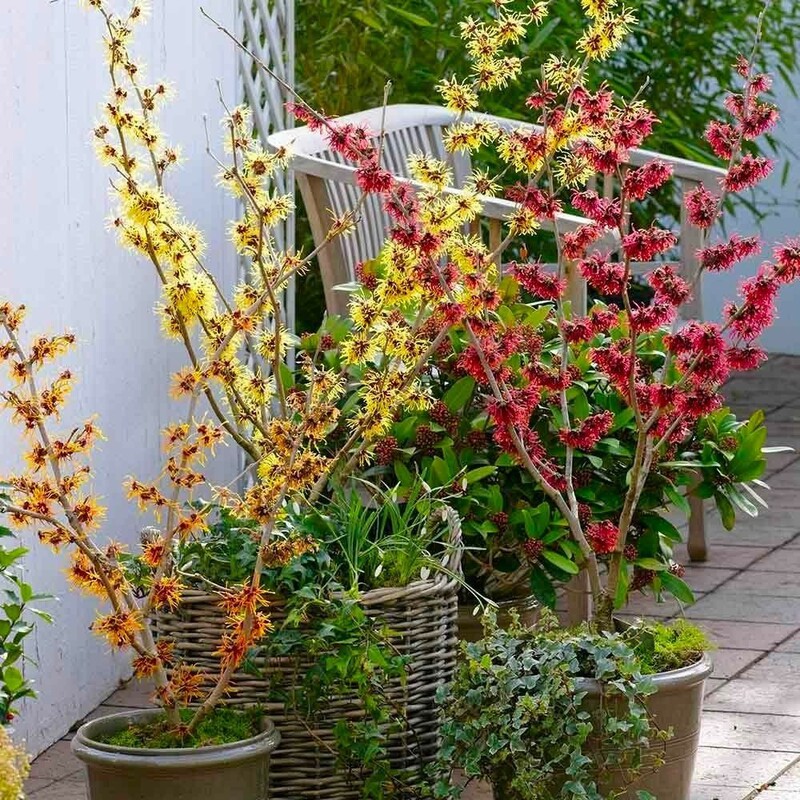 Our collection of scented Hamamelis features three different flower colours, yellow, orange and red. They look absolutely stunning as a group, or equally spectacular on their own and combined with other plants too. Try with evergreen foliage plants or those with bright winter bark and they'll shine out on duller days right when other garden plants are in a deep winter slumber. Supplied as strong plants in approx 4-5 litre containers at up to around 80cms tall, with buds and blooms in season you can start to enjoy them as soon as they are planted. 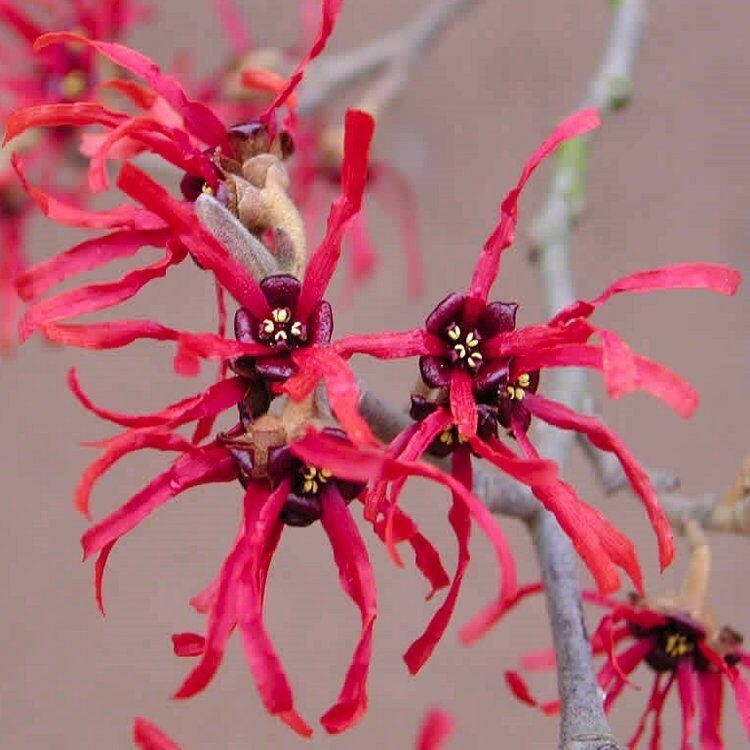 Witch Hazels are enchanting at the coldest times of the year when little else is looking good or in flower, they are tough and easy to grow in the garden or large patio planters. 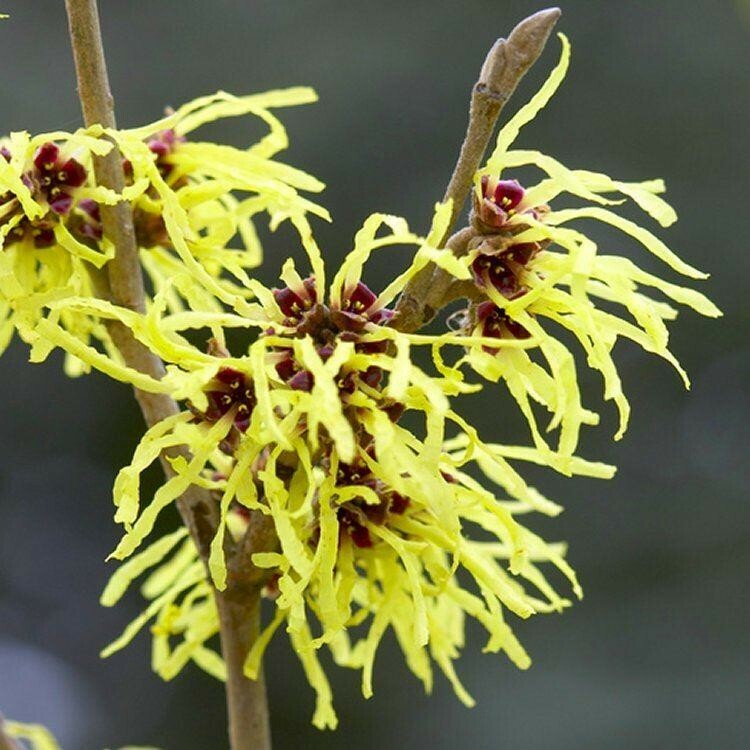 Flowering from around the shortest days of the year to Spring as temperatures rise, even if there is snow and ice around, Witch Hazels add blazing colour to the winter landscape. The unusual spidery flowers provide intrigue and will stand up to any weather. In Autumn, the foliage is magnificent shades of butter yellow, through to burnt orange and scarlet red with a hint of purple before it falls which only goes to increases the appeal of these versatile shrubs. 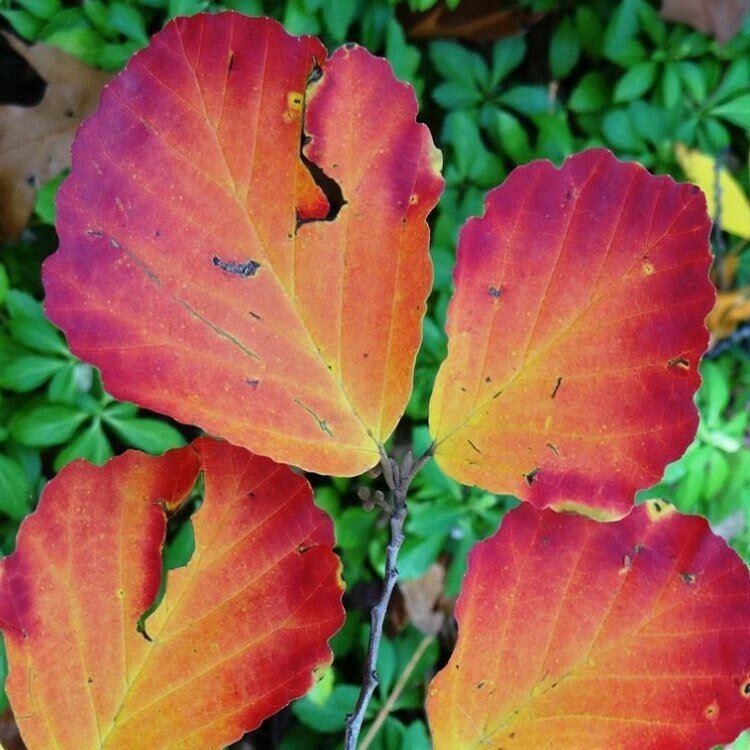 For the rest of the year, Hamamelis form an excellent backdrop to other plants in the garden. If you cut a few twiggy flowering stems and bring them indoors on chilly days, you can enjoy the sweet winter fragrance inside the home too.